ESVAGT's vessels and crew can handle tasks as diverse as towing a wave power device. 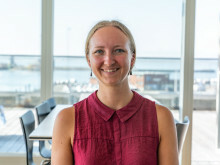 For the past many years, offshore wind farms have considerably contributed to the generation of Danish carbon-neutral energy, but the turbines are not the only promising source of renewable energy at sea. 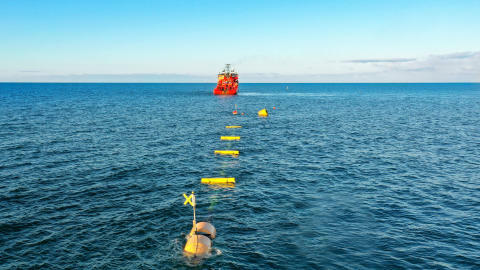 The ‘Esvagt Connector’ took part in placing Wavepiston’s wave power device, a potential future source of renewable energy. The ‘Esvagt Connector’ was in charge of towing the power system from port and three kilometres out at sea, Southeast of Hanstholm, and the crew managed the anchor handling and pulling the over 300-metre long chain, which is part of the device. ‘It is clear that ESVAGT’s main focus is on the personnel’s and the equipment’s safety. They are on top of everything, which in turn results in a very serene and efficient process on site. We can truly learn from that, adds Michael Henriksen. ‘Thanks to the ‘Esvagt Connector’ and other multirole vessels in our fleet, we are able to help our customers with a large range of tasks, including anchor handling and towing. These are areas where we can see a potential expansion, and we are pleased with the trust that Wavepiston has shown us, and the opportunity for us to demonstrate what we are capable of’, says Ib Hansen. The ‘Esvagt Connector’ has previously solved unusual towing tasks, such as towing none other than The Royal Navy back in December 2015 - see link. The test in Hanstholm was the last in a series of trials before launching full scale tests, which are expected to be completed between 2019 and 2021. Michael Henriksen expects that commercial wave power will be available during 2022.